No, this is not the psychedelic festi band from the UK but a new band from Norman, Oklahoma. This EP was recorded in Fall 2002 and I gather was recorded as a four piece. The band seem to have recently added a keyboard player who also plays cello to expand their sound. "Fixed Up High" is a foot stomping rocker. Pretty straight forward rock and you can hear this track on the new Atomic Bongload radio show at Aural Innovations. "Greenleaves" is next and a bit heavier and faster with a groovy rhythm. A very cool song. "Seeds In My Skin" is a more melodic song with some organ in the background. "Six Feet" is next and reminds me a bit of Masters of Reality. The CD finishes with the excellent "Coming Down". A new band well worth checking out! These guys have produced a good batch of solid rock and roll songs. I look forward to hearing the full length CD they are recording now. 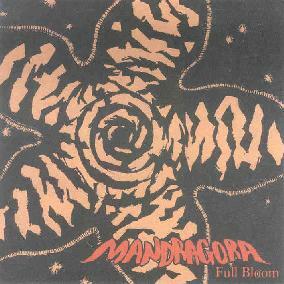 For more information you can visit the Mandragora web site at: http://www.mandragora-music.com. Contact via snail mail c/o Mandragora; 227 Pine Tree Ln; Norman, OK 73072.